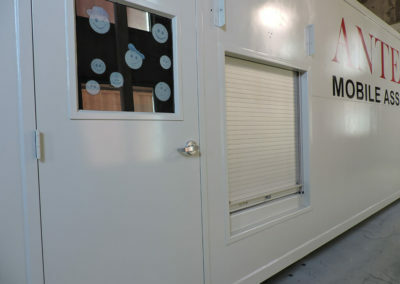 Maloy Mobile Storage custom manufactures many different project designs. 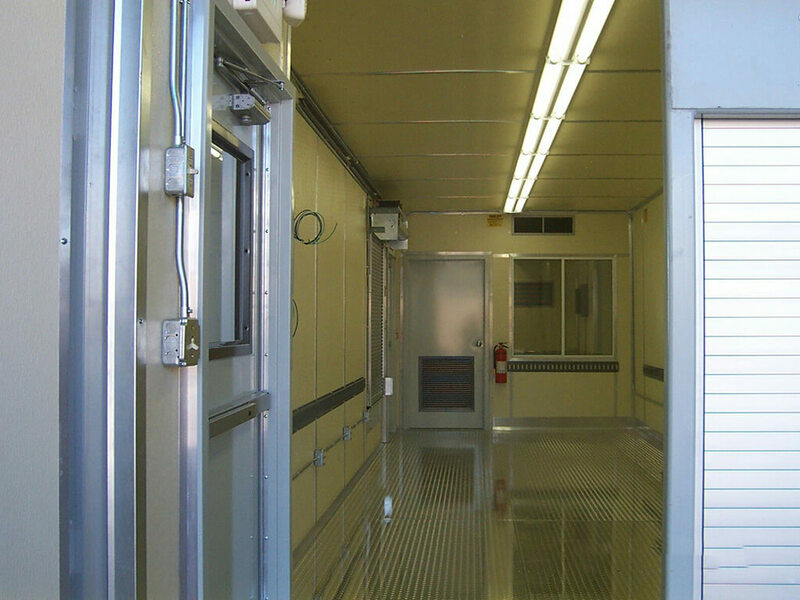 One of our specialties is Portable Labs & Facilities. 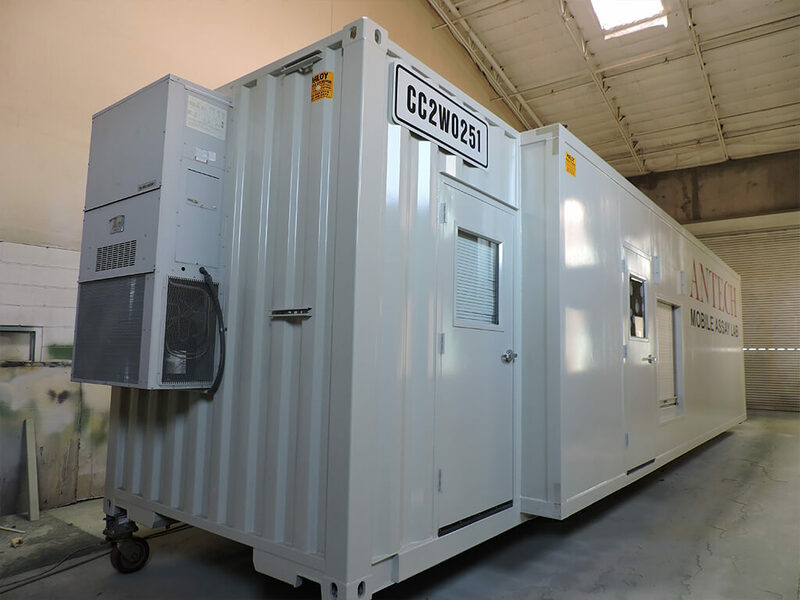 Below are a couple of descriptions with visuals to appreciate our ability of custom engineering a container to suit the needs of your project. 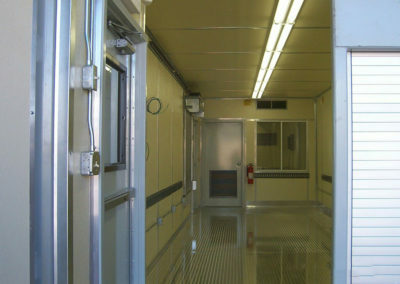 Maloy Mobile Storage converted a standard 14,000 lb Cargo Van into a Custom Radiological Lab Van. A 40’ custom modified High Cube container was built to be used as a Waste Retrieval Assay System. 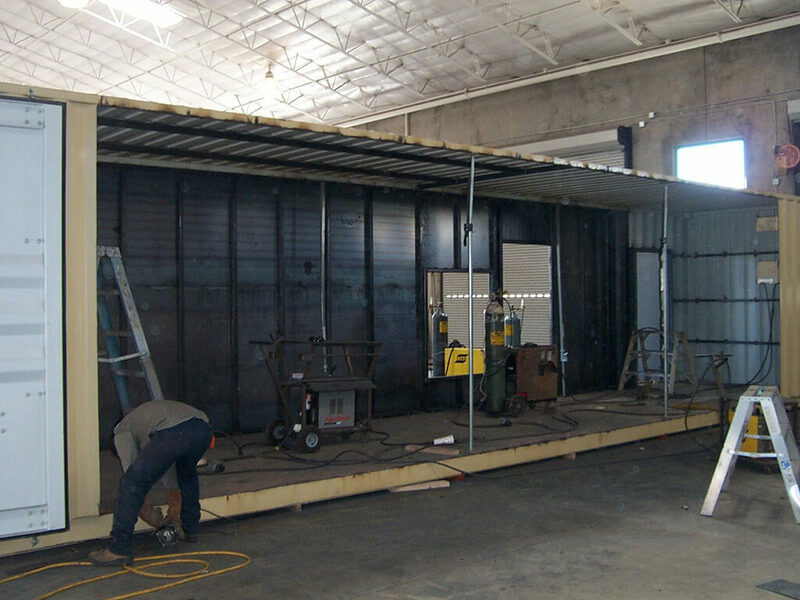 This container was split down the middle with a two foot by 30 foot section inserted in the middle, making the middle section of the container 10’w x 30’l x 9’6”h. 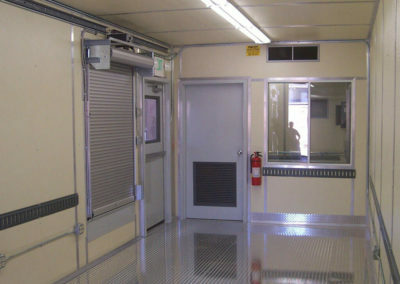 Installed components included three personnel doors with locksets, panic hardware, door closers, two high grade electrically operated rollup doors, blue board insulation, interior window, a three ton HVAC unit with duct work, Two custom steel fabricated table tops, and e-track for securing loads. 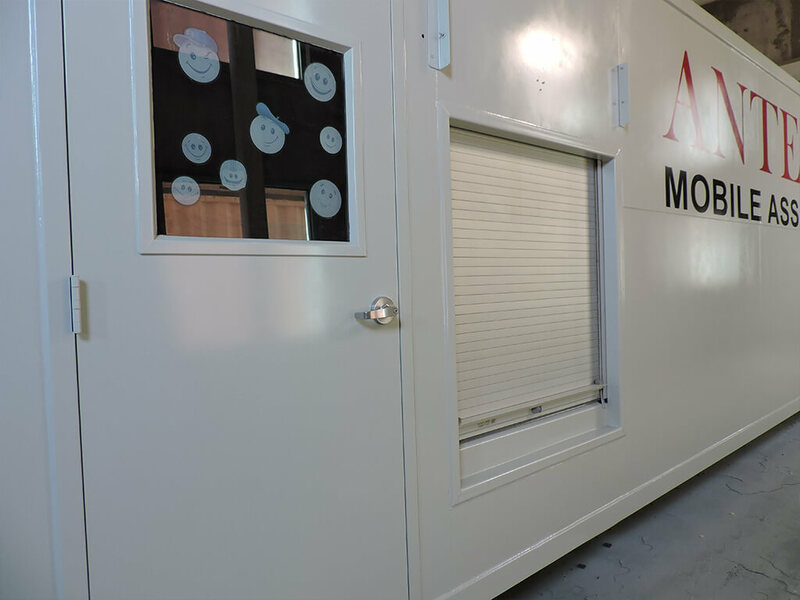 The electrical included a load center, safety switch, electrical outlets, and impact resistant lights, emergency lights, exit signs, and exterior lighting. Platforms and stairs for easy access were also installed. 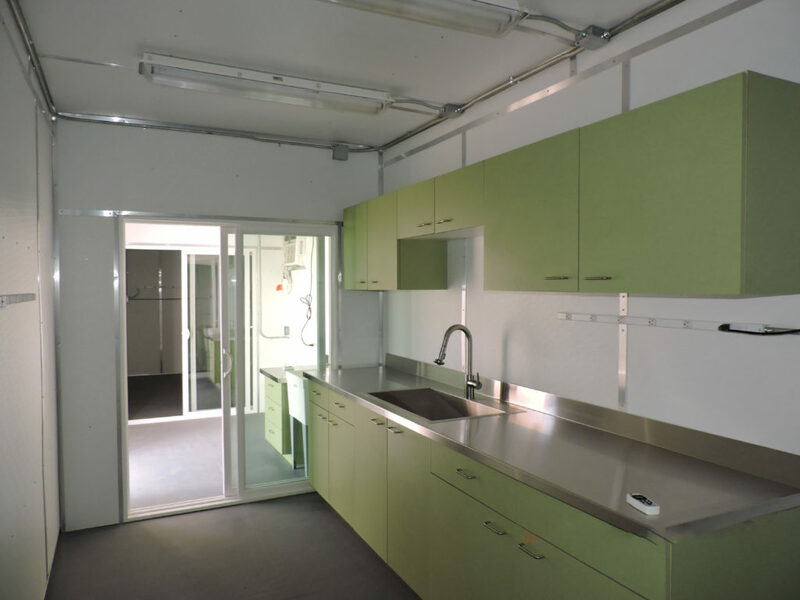 The interior is finished with almond laminated sheetrock and an aluminum diamond plate floor. The exterior is painted Light Gray, with customers name in vinyl lettering. 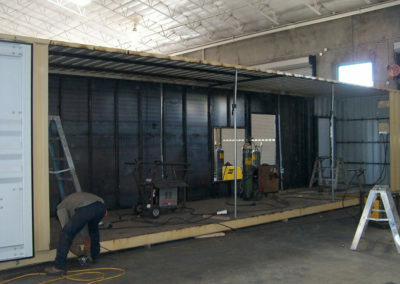 We modified a 20’storage container with cargo doors on both ends the into a multi-unit mobile climate research system. All workmanship and materials involved in the construction of this project conform to “first‐class marine practice”; for use on vessels in ocean service. The container was insulated with sprayed on polyisocyanurate insulation. The walls are fire treated plywood, covered with acoustical upholstery fabric and trimmed with aluminum trim. The floor is covered aluminum diamond plate for durability. 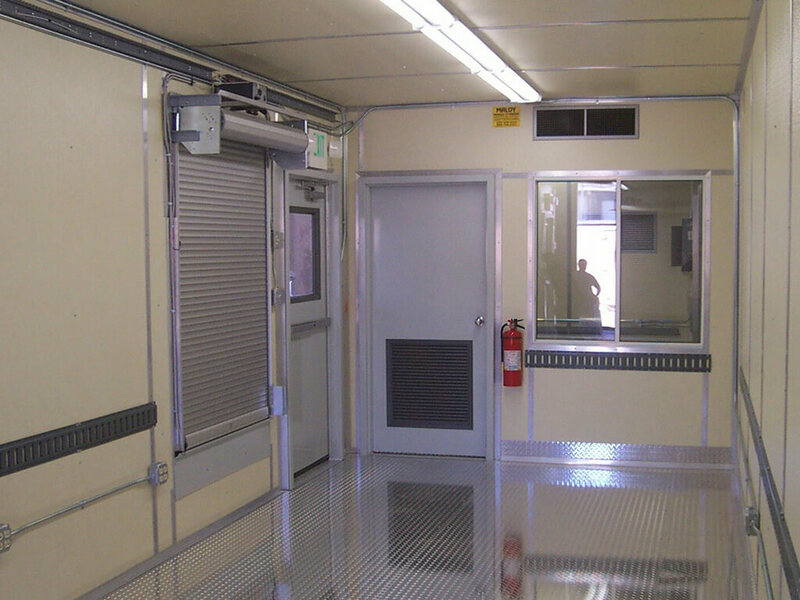 Unistrut was installed on the ceiling, walls, and inset in the floor for equipment racks and secure storage. The Exterior was primed and painted white with and epoxy-marine grade paint. 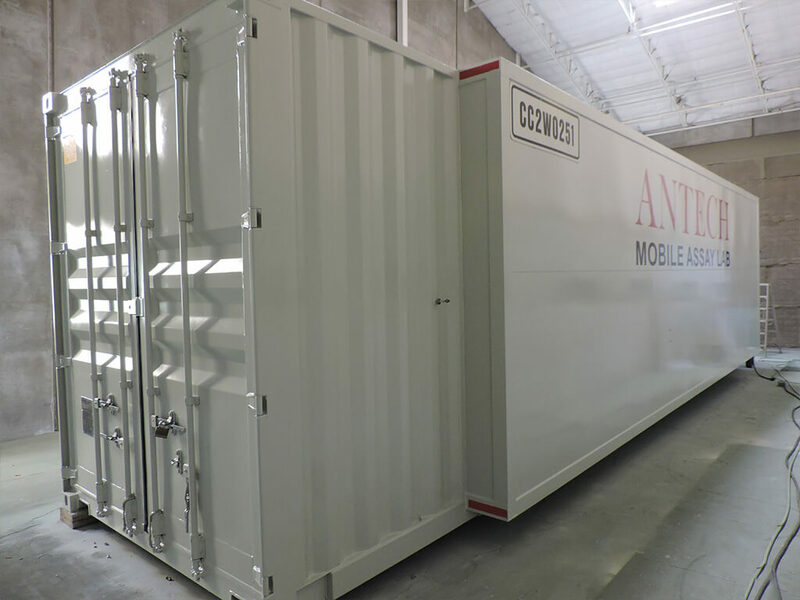 In addition, to the Cargo doors on both ends of the container, a 56” wide thermally insulated Freeman Marine Grade Door equipped with operational dogs, and handles on both sides was installed at one end, and includes a pneumatic closer to prevent the door from slamming closed. A tie back was installed to secure the door open when needed. An escape hatch was installed for emergency egress. 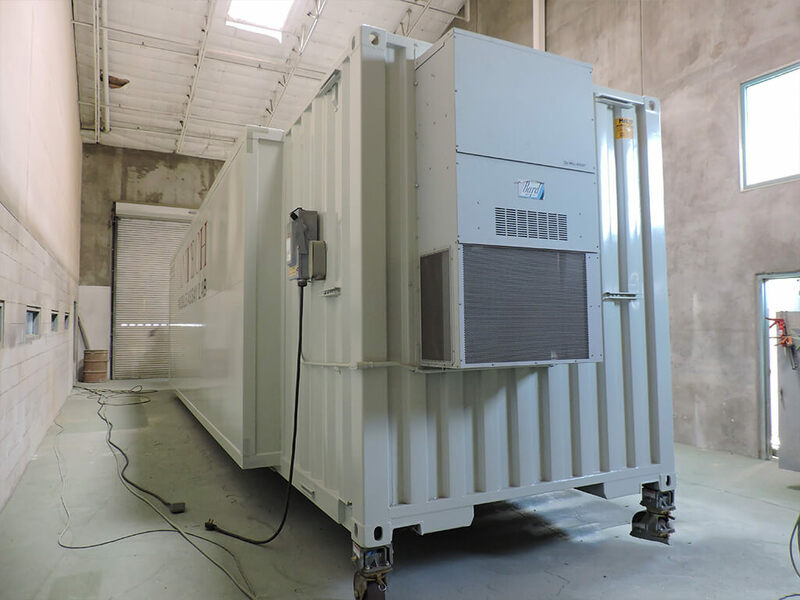 Two 12,000 BTU HAVC units were installed for climate control, with two additional cutouts for 2 additional HVAC units for future use. 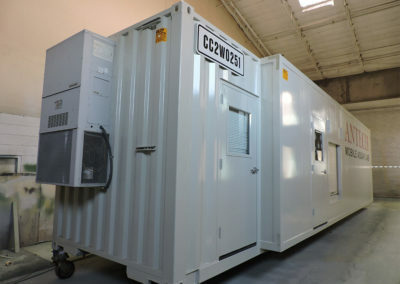 Commercial grade cabinets, storage bin and tool box were installed for various storage needs. 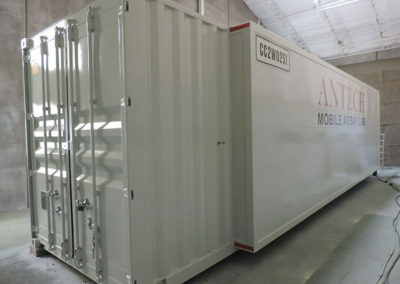 This is a small array of the capabilities Maloy Mobile Storage has provided to customers in the past. 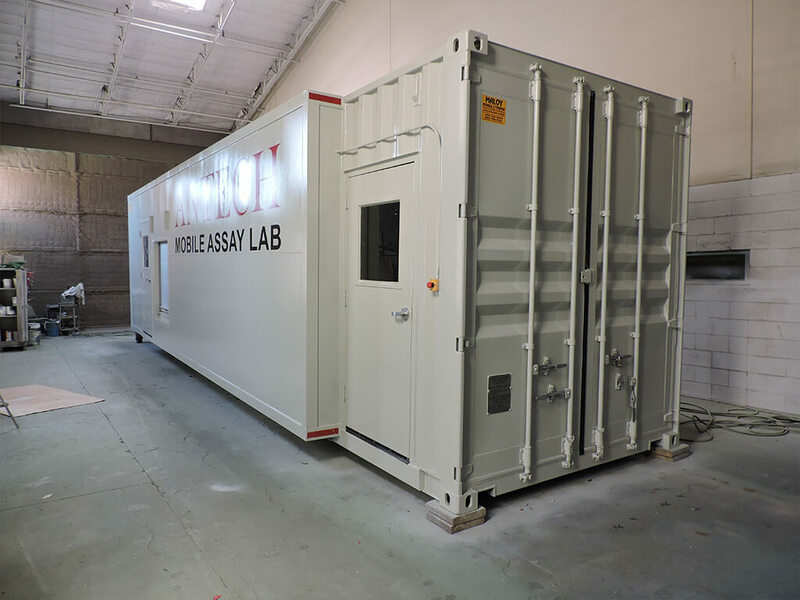 We are only a phone call away at 505-344-6123 to provide the assistance needed for your portable lab and testing facilities.